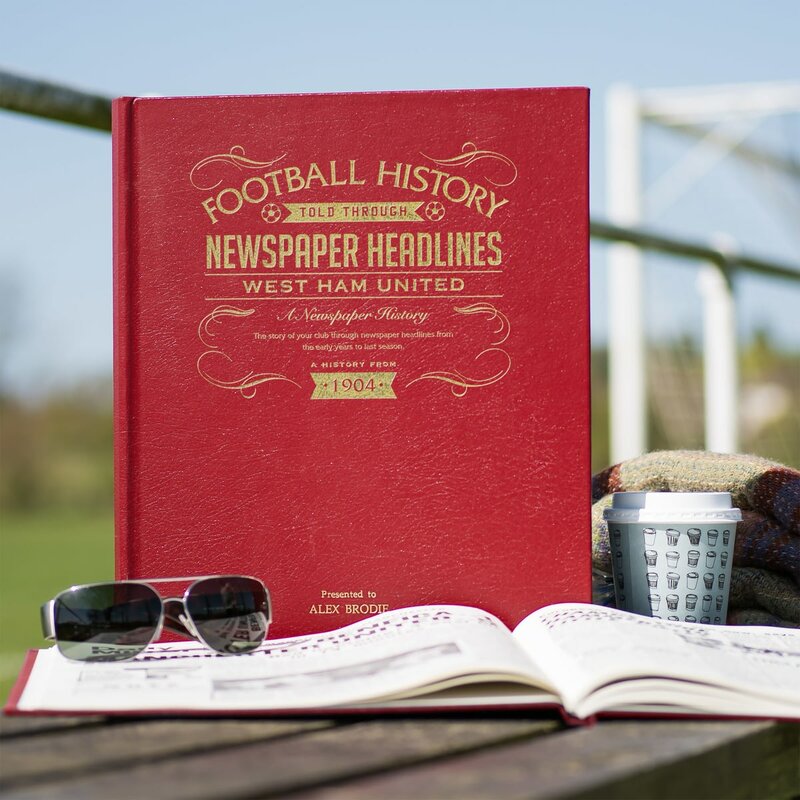 Starting in 1904, this book charts a glorious history of great league, cup and European games and names through the decades. 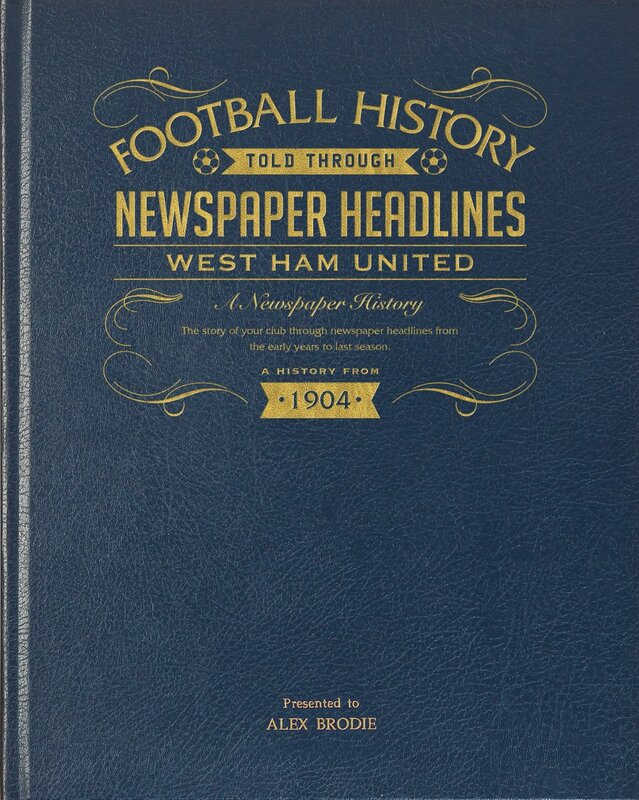 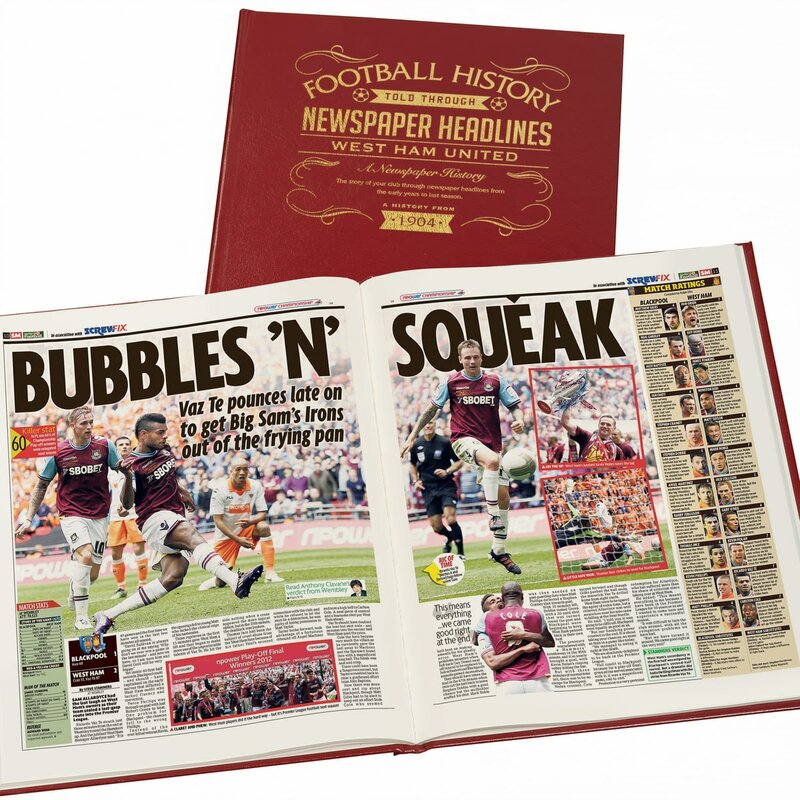 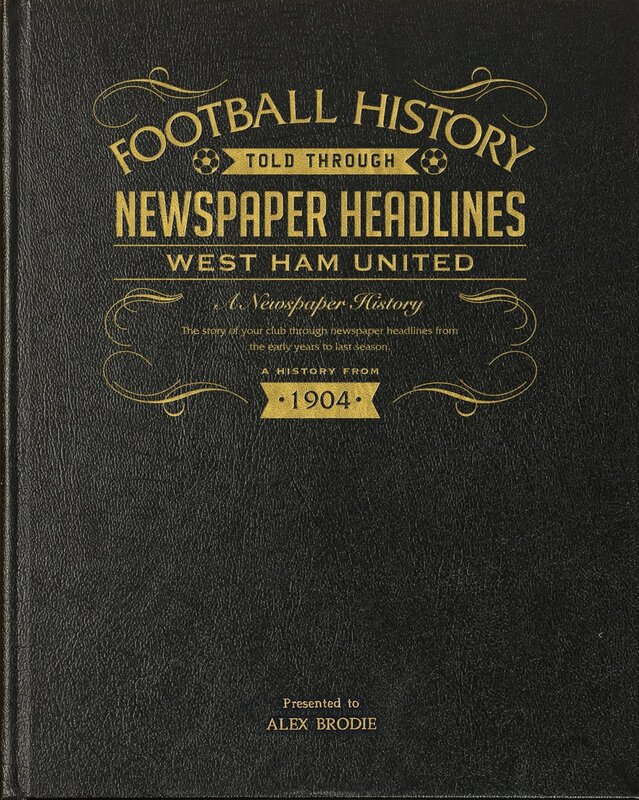 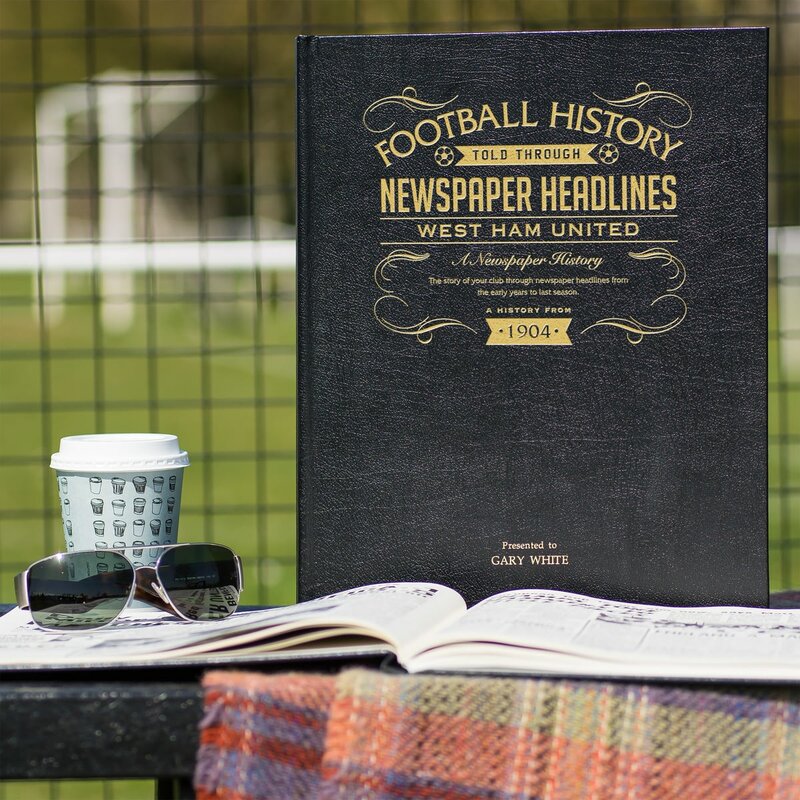 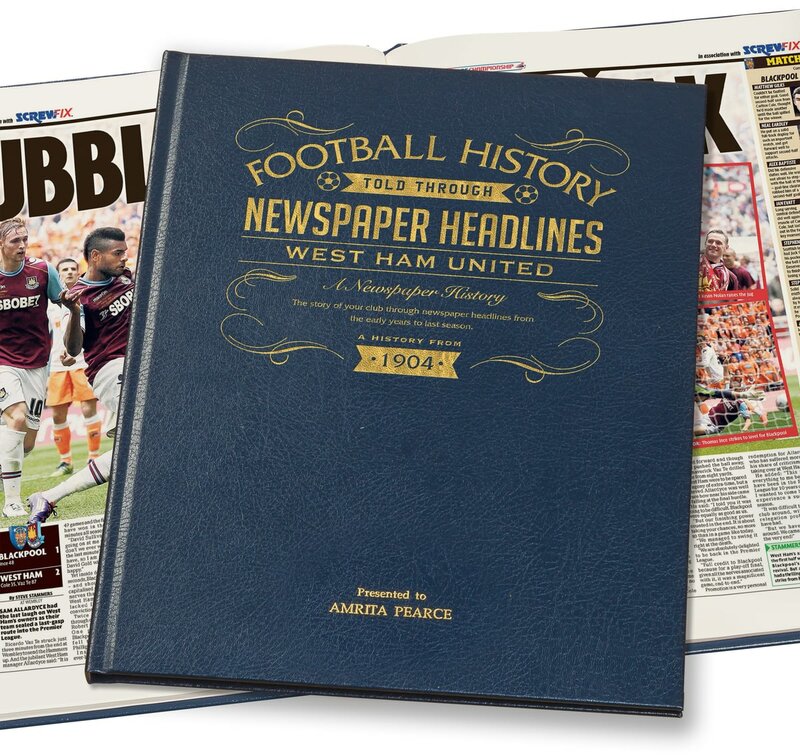 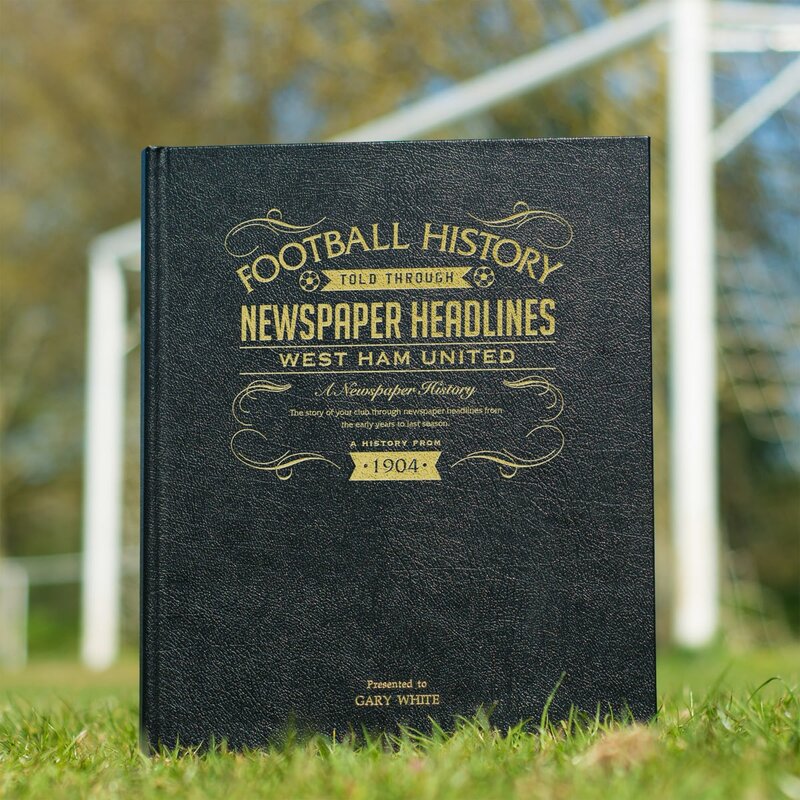 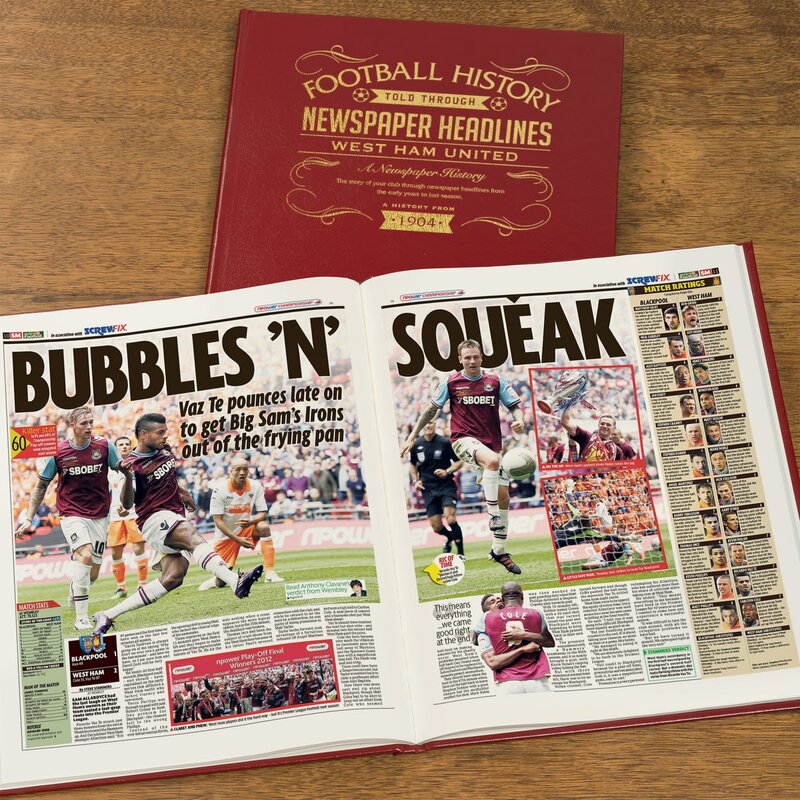 Top stories include Hammers' loss to Bolton in the first Wembley FA Cup final and a win in the 'War Cup Final'. 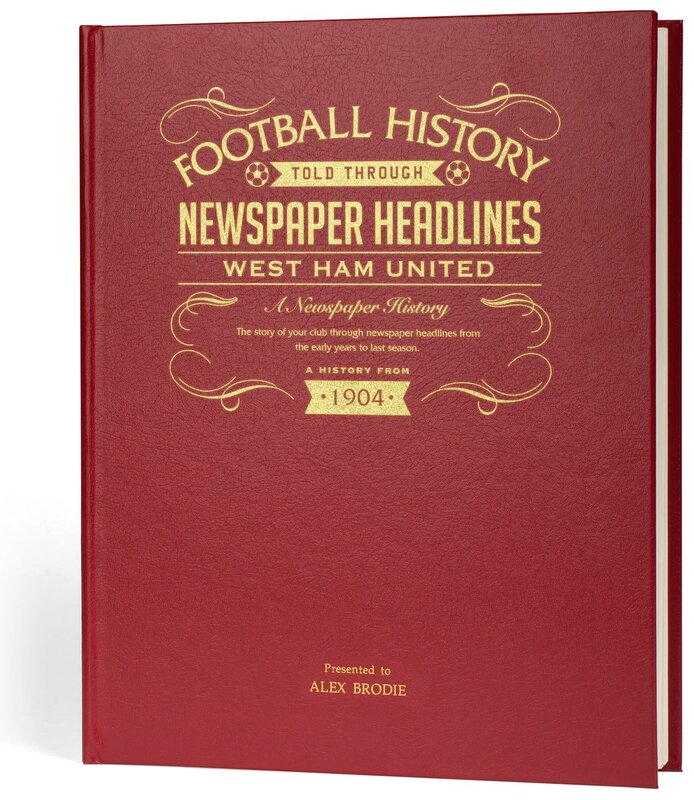 There are more cup wins, a Cup Winners Cup victory, the debut of 17 year-old Bobby Moore, and Hurst scores 6 in an 8-0 drumming of Sunderland. Harry Redknapp replaces sacked John Lyall then Billy Bonds takes over after a few months. 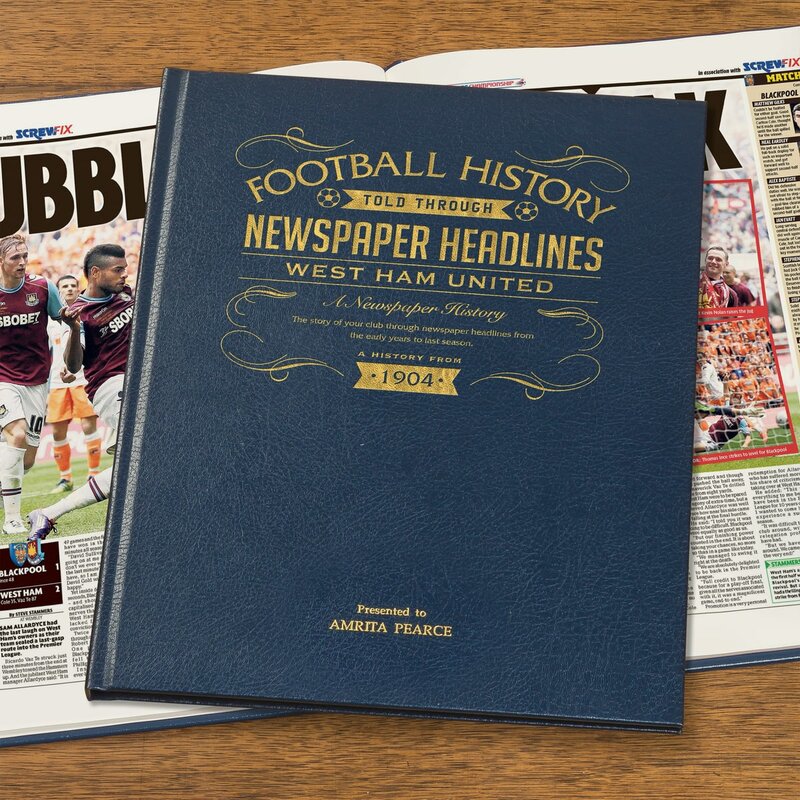 Coverage continues right up to the end of last season. 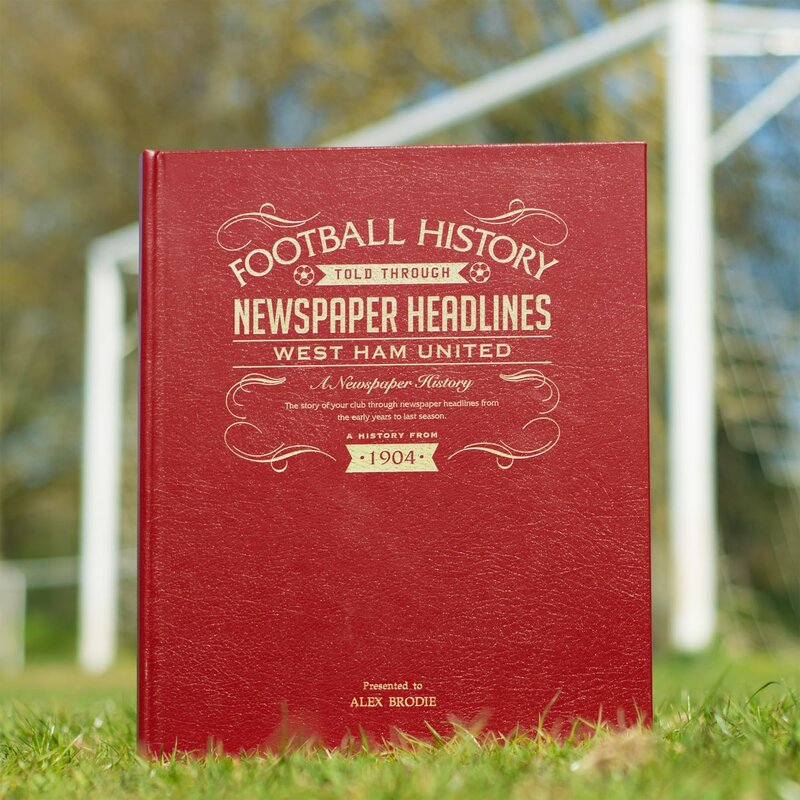 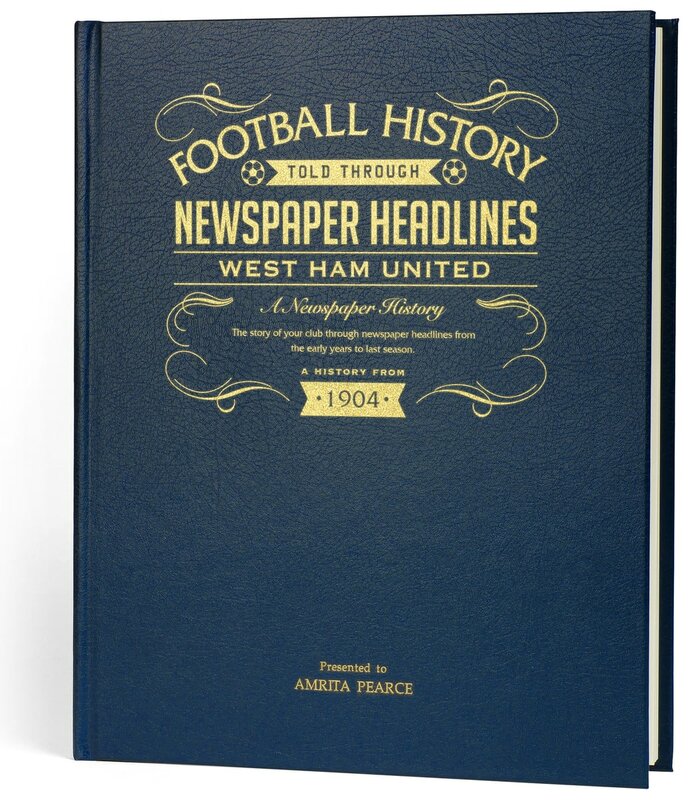 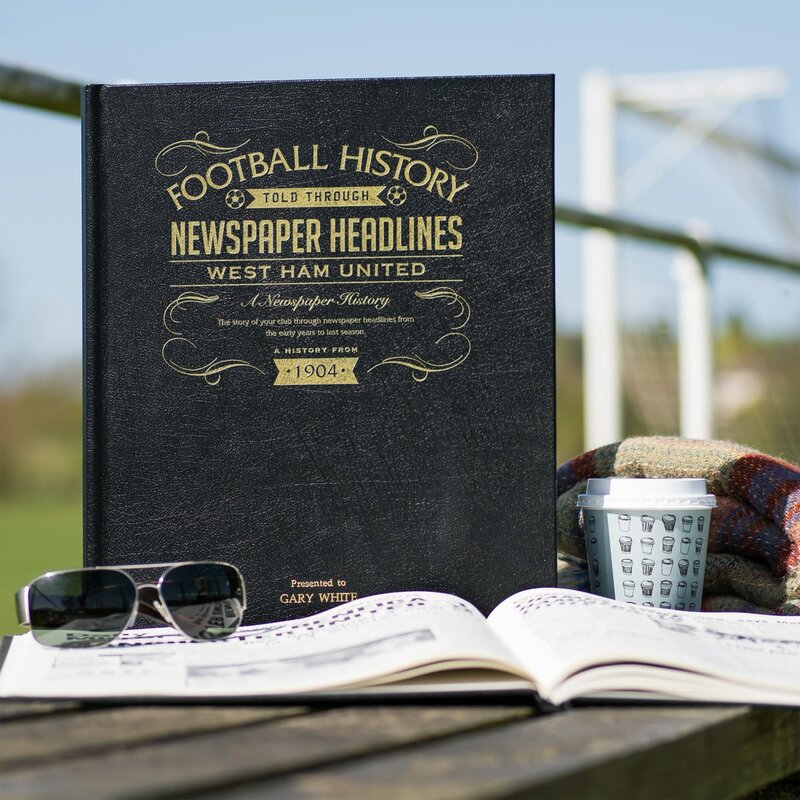 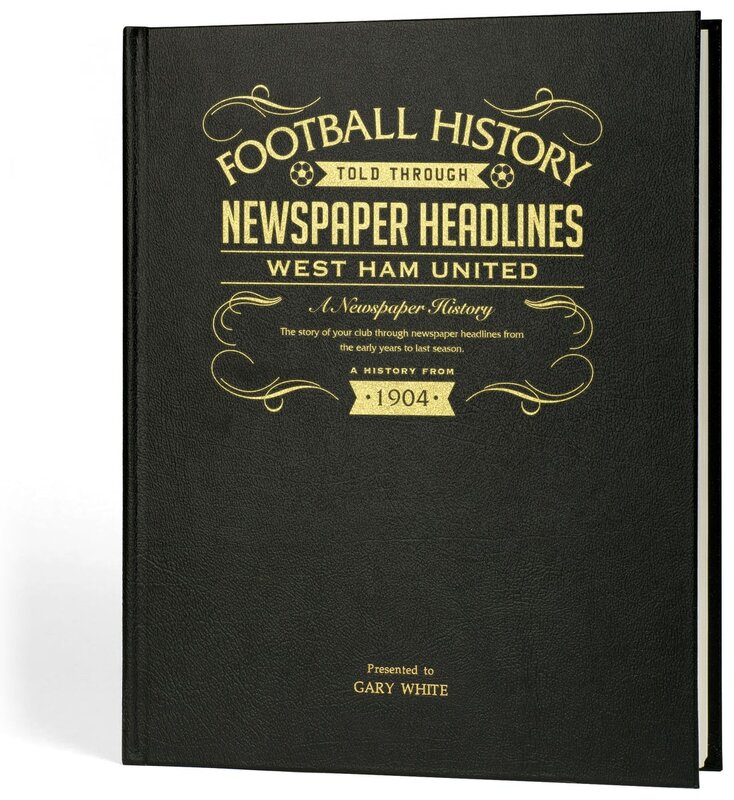 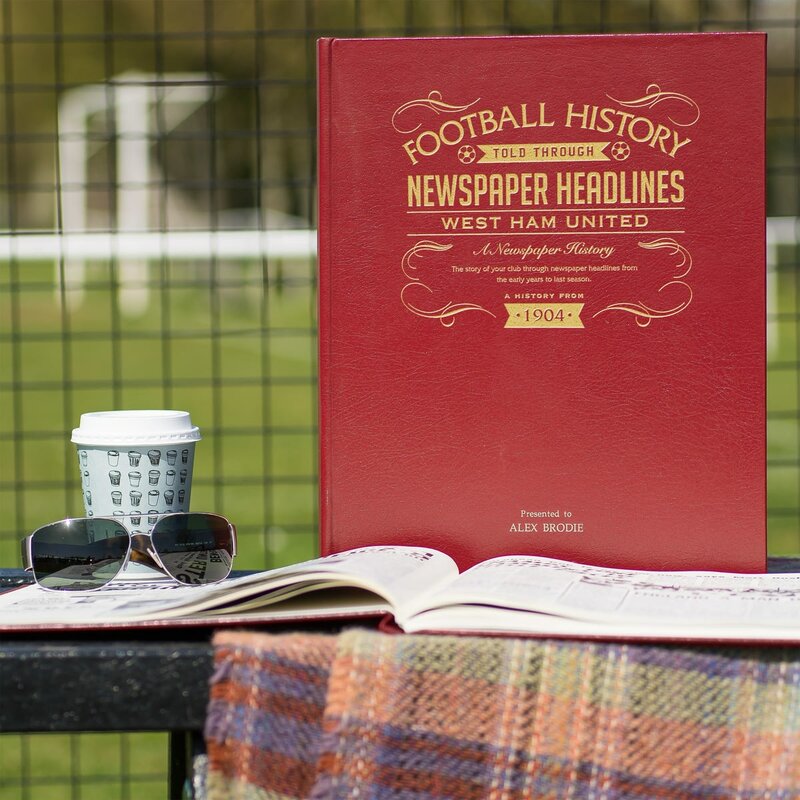 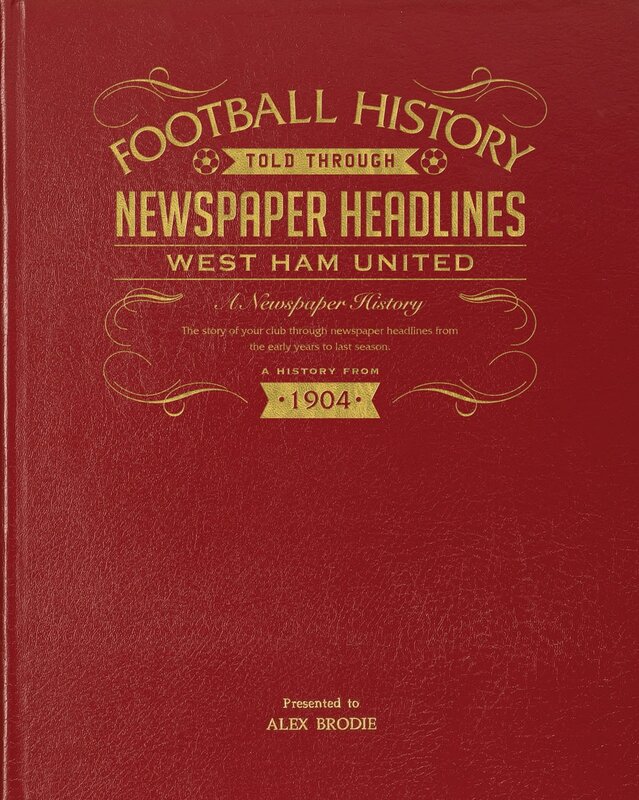 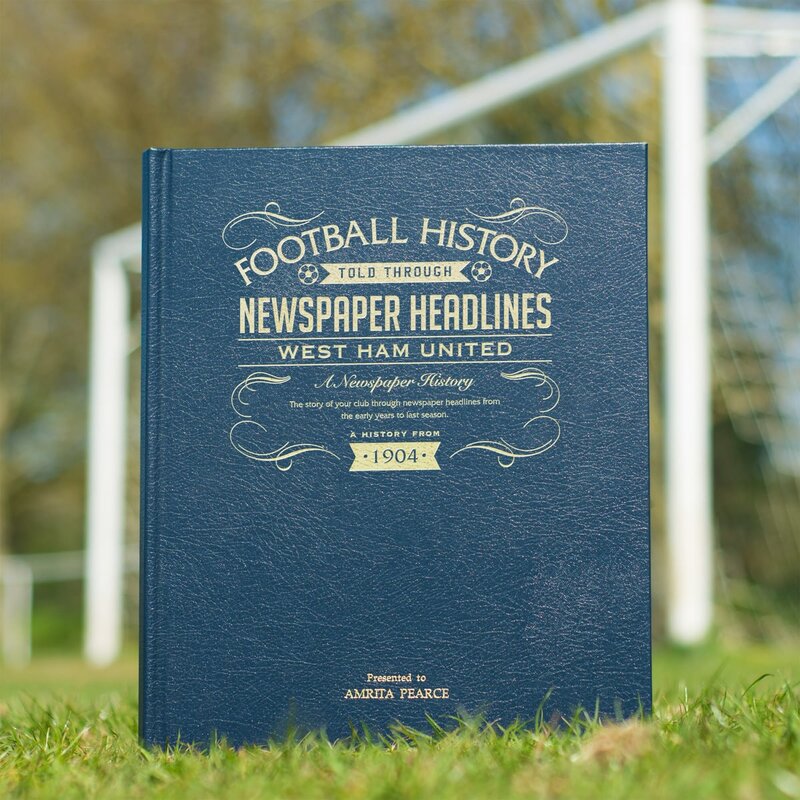 This is a unique and wonderful gift and a must have for all Hammers fans.